Do you wish to speak French smoothly but uncertainty you can’t speak it fluently in front of the peoples who know the language? If your answer is yes then don’t take any tension try to help yourself by applying some of best tactics to improve your French lingo. Undergrads Learn the French language for some reason such as travel, work, family, carrier, and so on. 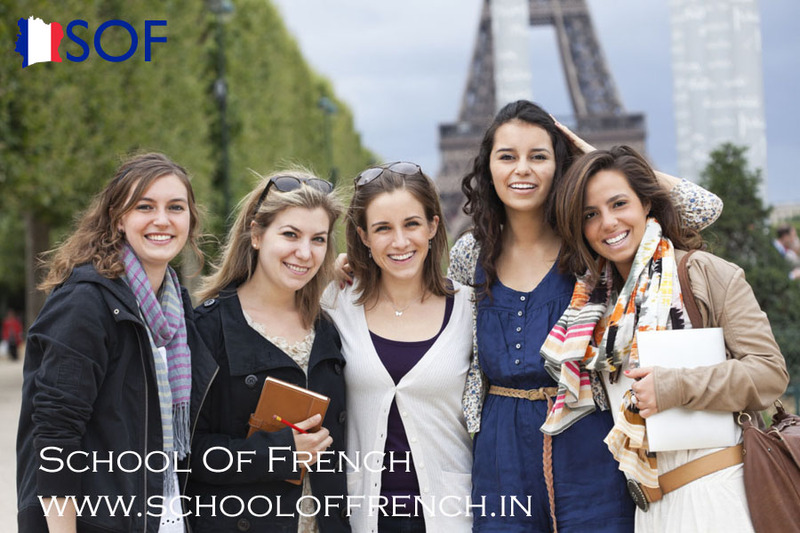 As an adult aspirant, you definitely wish to learn the language efficiently under the guidance of experts who have varied years of experience in the French language then enroll your name in the best French language institutes in Delhi. In the class’s environment, aspirants have to focus on the vocabulary, grammar, sentence structure, etc. If you learn any foreign language through classes you can achieve four key skills such as Listening, speaking, reading, and writing. Set your goal what you actually want and need to know- As a learner, you need to set a target for yourselves and focused on your target and always try to achieve it with your dedication and hard works towards it. Once you start learning French you surely achieve your target. Discover the technique that works best for you- As a learner, if you find that learning grammar is useful, learn that way. If grammar just frustrates you, try a more approach to learn the French lingo. Repetition is key- You need to learn and practice everything’s many times before you know them. You can repeat exercises, answer the similar questions, listen to the same sound files until you feel comfortable with them. Learn together- Most of the people finds that learning with others helps keep them on track. If you are one of them who also learn the language with the help of other then you can be hiring a private tutors for you and learn the French language. Every day learning- Make a habit of spending at least 15-30 minutes a day learning and/or practicing the French language. Listen passively- You can get extra practice by listening to French during your regular activity walking, jogging, biking, cooking, and cleaning. Try these useful tips to learn the French language without any difficulty you can indulge yourselves into the learning process of the French language. If you are French travel guides in Delhi then having knowledge of the French language you make your French travel feel more comfortable within your own country. If you verbally communicate the French language helps you to get to know another country culture, tradition, lifestyle, and customs and culture go hand in hand. If you get proper knowledge of the French language you obtain several carrier opportunities in various functional areas such as in the hospital, banks, school, college, hotel, travel agency, aviation, etc. If you desire to become French language interpreters in Delhi then learning French lingo through renowned institute is the best option for you to learn the language with the help of highly qualified trainers and mentors.